istockphoto.comMore bad news for folks, who think that Obama’s election landed us in a post-racial America. A new report (PDF) looking at math and reading proficiency among young black males in urban public schools concludes they’re doing even worse than is generally known, and poverty alone doesn’t explain it. Race still matters. Case in point: African American boys who are not poor get the same test scores as white boys who live in poverty. Most K-12 data is usually broken up by race or ethnicity, but not gender. What this sharpened interpretation reveals is that young black males face more obstacles to graduating from high school than any other subgroup, from living in a household without a male guardian, to more frequent encounters with overzealous cops, to higher dropout rates and more suspensions. The intention of this report is a call for more targeted solutions that take race into consideration, such as recruiting more black male counselors or creating more culturally relevant lesson plans. 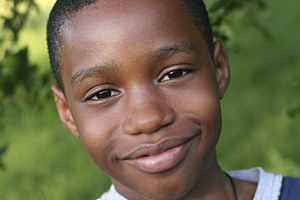 The report’s authors call for increased national efforts, like a White House conference on black males, creating a special task force, and providing more resources to public schools for after-school programs specifically for black males.